We’ve all seen evil machines in The Terminator or The Matrix, but how does a machine become evil? Is it like Project Satan from Futurama, where scientists combined parts from various evil cars to create the ultimate evil car? Or are machines simply destined to eventually turn evil when their processing power or whatever becomes sufficiently advanced? 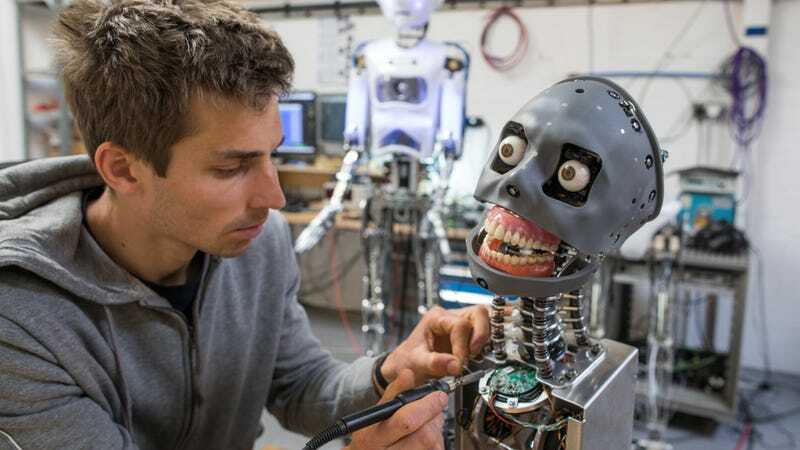 As it turns out, one guaranteed way to make a machine turn bad is by putting it in the hands of some scientists who are actively trying to create an AI “psychopath,” which is exactly what a group from MIT has achieved with an algorithm it’s named “Norman”—like the guy from Psycho. Seriously, if “man gets pulled into dough machine” doesn’t give you chills, then you might need to start wondering if the machines have already assimilated you. Also, for the record, the study says that Norman wasn’t actually given any photos of real people dying; it just used graphic image captions from the unnamed Reddit page (which is unnamed in the study because of its violent content).